How would you like to wake up to a yard filled with candy stuffed eggs? 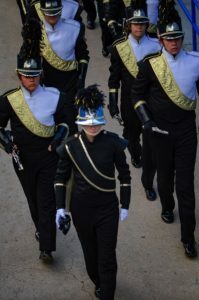 On the evening of April 20th, the Arapahoe High School Band students will stop by and hide treat filled eggs in your front yard. They will even leave a note on your door telling your kiddos how many eggs to look for! 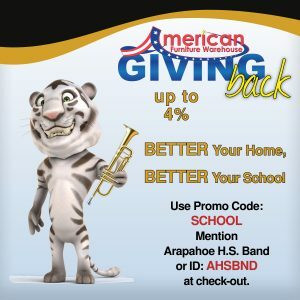 All proceeds go directly to Arapahoe Band Boosters (a 501c3 organization) to benefit student music instruction. Surprise your family with a visit from the Easter Bunny! Not sure what to do with all the eggs after they have been opened? All you need to do is put them in a bag and leave them on your front step, we will stop by on the date of your choosing the following week and pick them up so we can use them again!